Hsu Hsiu-nien's performances are consistent attention-grabbers, and in 2018, she was recognized with a much-deserved special award in the performance category at the 29th Golden Melody Awards for Traditional Arts and Music. Hsu Hsiu-nien has been performing in koa-á-hì, or Taiwanese opera, since she was five years old. Having earned a reputation as the "eternal maiden" over the course of her six decades of acting, Hsu has continued to refine her skills and take on new challenges. Today, she has begun to turn her attention to the question of how to pass those skills on to the next generation. The first time Hsu performed was actually at the age of three, when she took to the stage with the Mailiao Music Society (麥寮拱樂社) to put on the opening song and dance. The audience was immediately enraptured with the gifted toddler, including the leader of the society Chen Cheng-san (陳澄三), who was in the process of preparing a film script and wrote in a role specifically for her. Both on stage and on screen, Hsu was a hit. During her time with the Mailiao Music Society, she portrayed xiaosheng roles, which are generally adolescent male characters. As television station CTS' venture into Taiwanese opera fell out of favor and the society disbanded, Hsu began occasionally taking up invitations from fellow actress Yang Li-hua (楊麗花) to play the dan opposite her in Taiwan Television's "Dream of Phoenix Crown (鳳冠夢)." Through a combination of hard work and natural talent, she began to develop a career portraying dan roles, tackling lady characters of all stripes. When Taiwanese opera was at its televisual peak, Yang was a superstar, surrounded by a coterie of dan. As Yang is a specialist in masculine roles, during that time, she and Hsu were possibly the most famous on-screen couple on Taiwanese television. As grassroots Taiwanese culture saw a renaissance, Taiwanese opera began to make its way to formal theaters, and Hsu and Yang took part in a number of high-profile performances, including the first combination of Taiwanese opera and modern theater — the 1981 performance at the Dr. Sun Yat-Sen Memorial Hall of "The Fisher Maid (漁孃)." 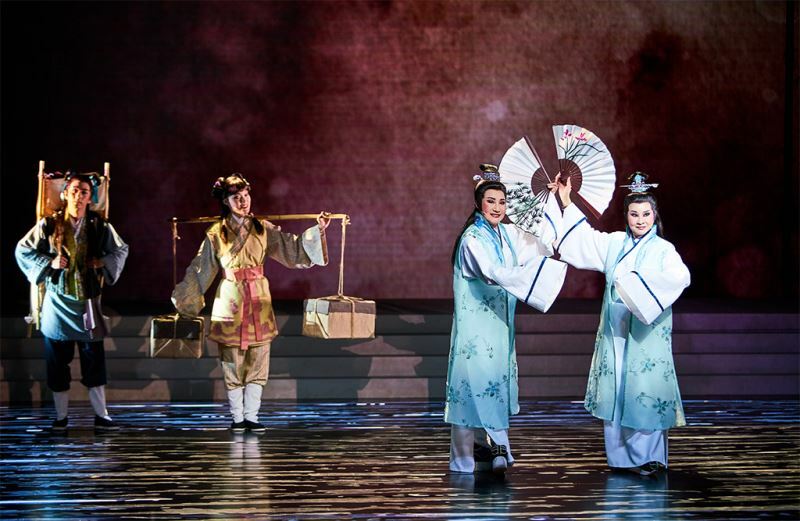 When Tang Mei-yun (唐美雲), a xiaosheng performer of the new generation, formed a troupe, Hsu was invited along, helping make the Tang Mei-Yun Taiwanese Opera Company the powerhouse it is today. Hsu's performances start from the heart, and are realized from there layer by layer with her evocative and character-filled vocals and vibrant physicality and expressions. Thanks to her work, a natural, lived-in quality have become hallmarks of Taiwanese opera. Taiwanese opera fans have long had a preference for (female) xiaosheng, and so despite ostensibly being the leading ladies, the importance, and even existence, of dan can end up being overlooked. 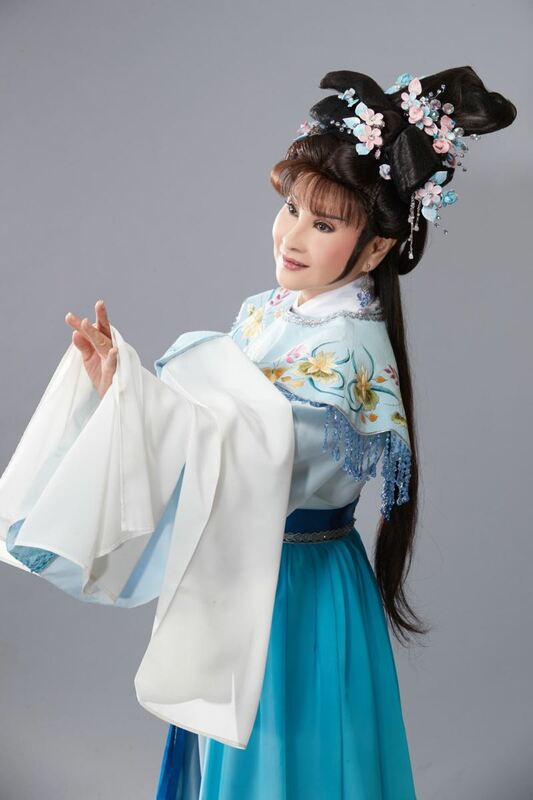 From small stages to television screens to top theaters, and from talented tot to eternal maiden, Hsu has been an ever-present star at every stage of Taiwanese opera in the modern age. Even as the dan role continues to be undervalued, she has continued to give the characters her all without complaint or regret. She is simply dedicated to acting and to returning the love audiences have given her through her performances. After 63 years performing, Hsu is one of a vanishingly small number of her peers who can still be seen on stage, keeping pace with modern theatrical developments, continuing her commitment to her roles, and proving why she is considered a national treasure. Visitors Today:112. All Time Visitors:1,229,919.